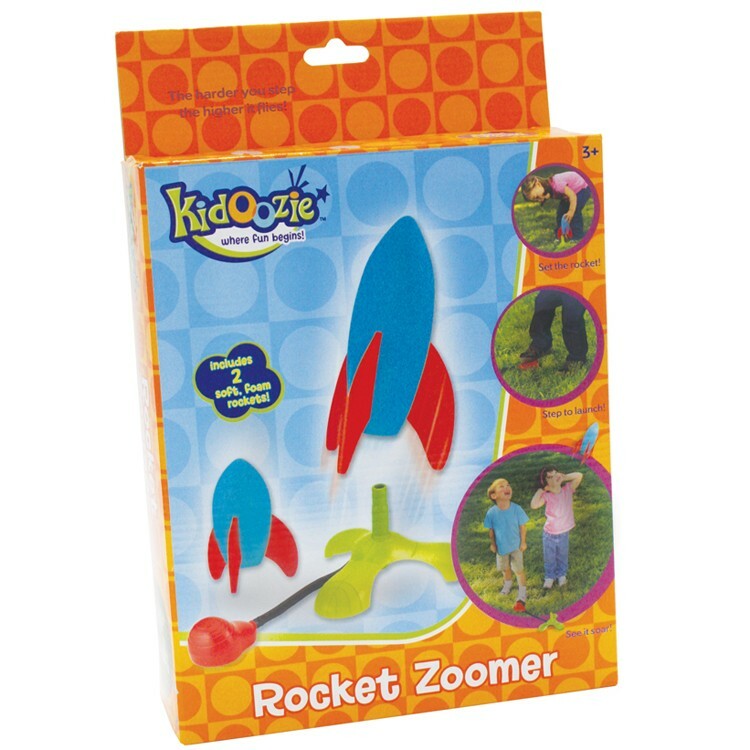 Step on the base and launch your own foam rocket with this Kidoozie rocket launching toy. 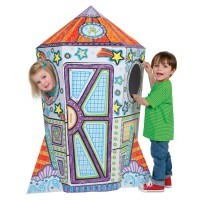 How would you like to launch your very own space ship? Get ready, get set, stamp it! 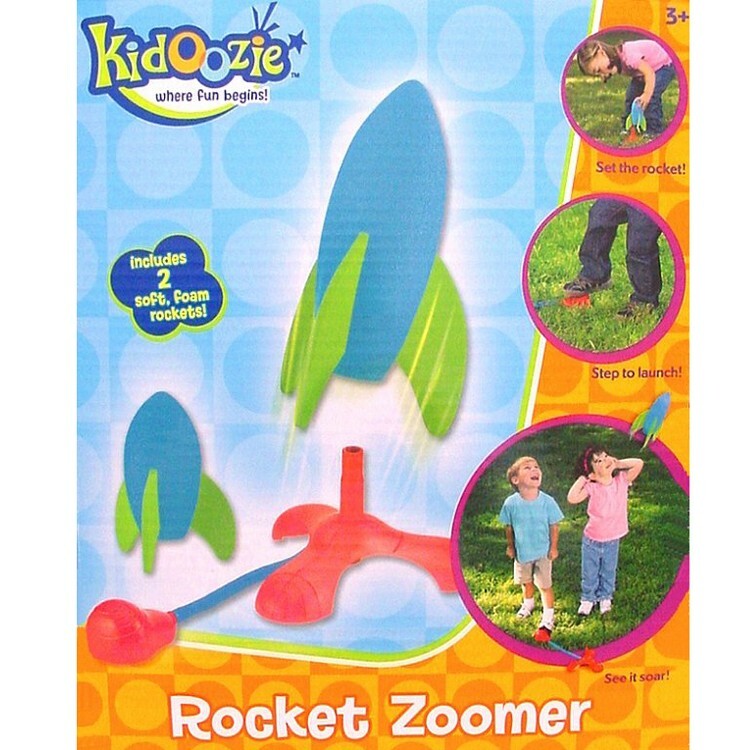 Rocket Zoomer Rocket Launching Toy, an awesome outdoor toy by Kidoozie, your child will want to play with again and again. 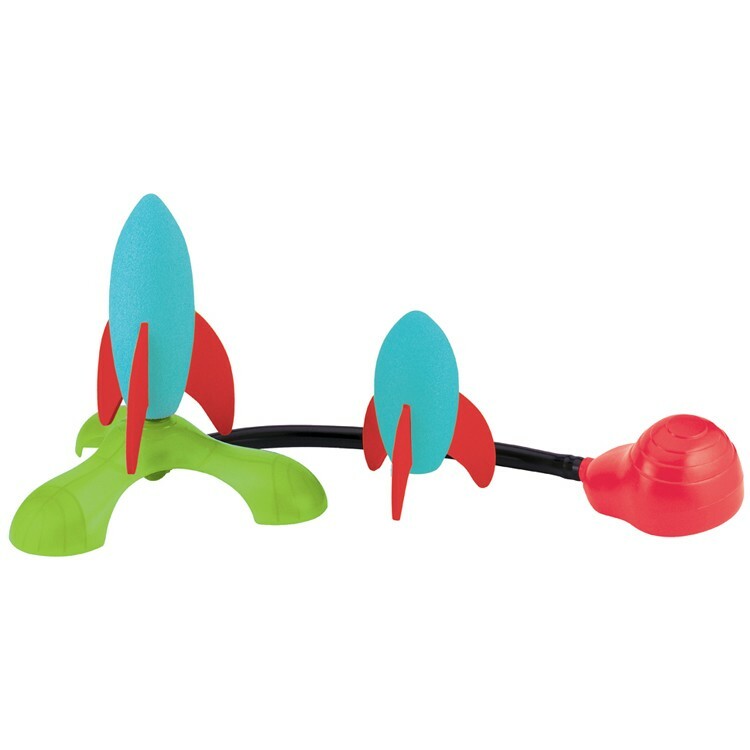 This rocket launching toy comes complete with one brightly colored durable rocket launcher and two soft and safe rockets (one 5 inches and one 6.5 inches). 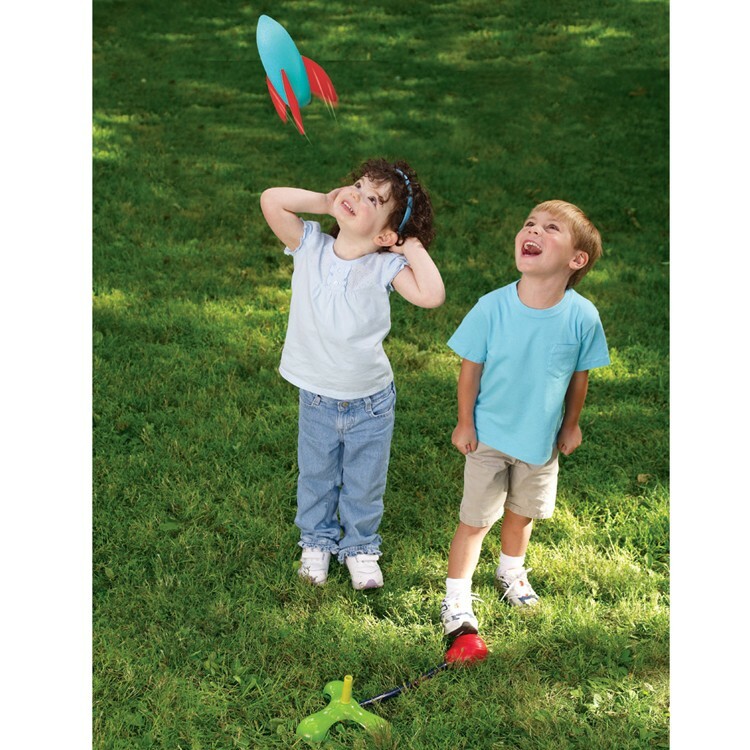 Play is simple so even young children can enjoy Rocket Zoomer Rocket Launching Toy from Educational Toys Planet. 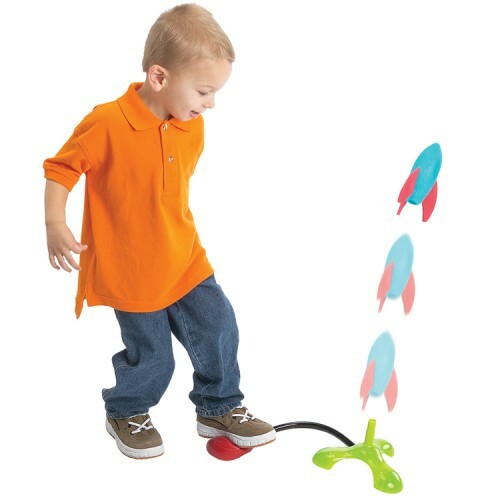 Attach one of the safe play rockets to the launcher and step your foot on the squishy red launching base. 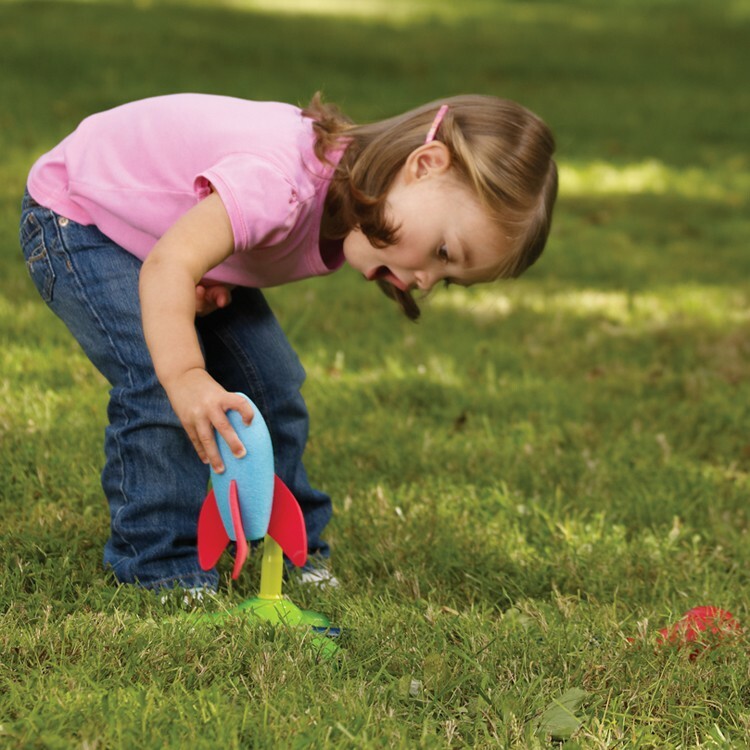 The harder you step on it, the higher your rocket will go! 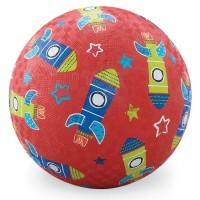 One your spaceship is traveling through the air get active and try to catch it before its crash landing. 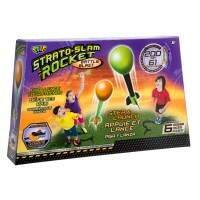 A great indoor or outdoor toy for introducing fun basic physics and for engaging your active and curious child. 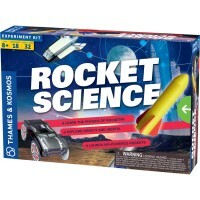 Dimensions of package 10" x 10" x 2.5"
Write your own review of Rocket Zoomer Foam Rocket Launcher Toy. 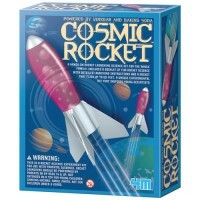 Rating: 3 A great toy but packed so that the tube was bent and toy couldn't work and kink in tubing had to be cut out. 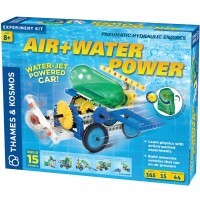 by Annie With kink in tubing cut out, the tubing was shorter, but the toy could work. Packaging needs to be more carefully done. Rating: 5 by Marissa, NY My 3 1/2 year old loves this. 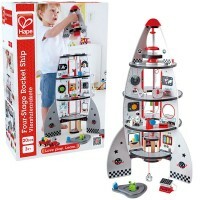 It's easy for him to put together (just attach the few parts and then stomp), and he enjoys stomping and launching! A hit! Rating: 4 by Larry, NM Great indoor toy. Soft and will not break. looks better than pics show. Rating: 5 by Lennon, MN Everyone loved it. The kids and adults. 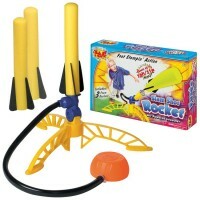 Everyone played with it together. 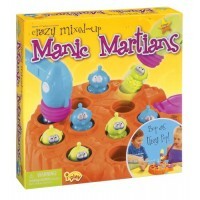 Rating: 5 by Tisha, OH My nephews play with this all the time. 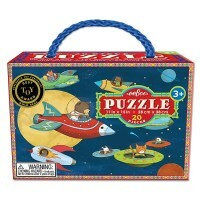 Five pieces to keep track of, though, and the product doesn't come with its own tote bag. We had to find one ourselves. Rating: 4 by Matthew, MI have not yet opened because its a Christmas gift but has promise.